(http://www.latimes.com) A team of researchers from the University of Montreal's Department of Kinesiology have recently linked exercise during pregnancy to improved fetal brain development. The scientists conducting the study gathered women in the first trimester of their pregnancy and split them into two groups. The first group, the active group, was advised to engage in moderate exercise for a minimum of 60 minutes per week, while the other group, the sedentary group, was basically told to relax. The active group ended up getting an average of 117 minutes of exercise per week, and the sedentary group exercised for an average of 12 minutes per week. The researchers tested each of the newborns' brains 8 to 12 days after birth. They waited until the babies fell asleep and then played sounds and measured the resulting brain activity. 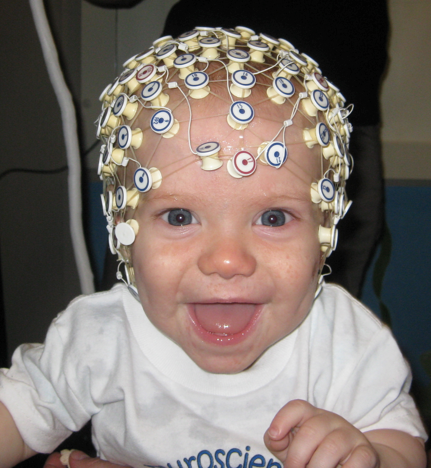 The scientists found that the babies in the active group had more well developed brains and yielded stronger responses. "Exercise during pregnancy had an impact on the newborn's brain.... [T]he positive wave with a smaller area amplitude in the active group suggests heightened maturity. To better understand the functional significance of our findings, children from this study will undergo developmental testing at age 1." Exercise is already known to improve a person's health, both physically and mentally. And it is obvious that fetuses depend on their mothers for their nutrition and development; now, this new study gives expecting mothers another definitive reason to get up and get active.